It’s Flower Power to kick the week off on a great Magnificent Monday. Join in . Welcome to Magnificent Monday and let’s have a great week with Flower Power! This is a metal soldier standing guard amongst pretty white flowers and greenery, it’s almost like he is guarding nature and all its treasures. If you are participating in Magnificent Monday!, enter your name and URL in the form below and press Enter. Please leave a comment after linking… Thank you! Those are really nice. Where is the statue located? Nice flowers , they reminds me of my native place where we have a flower garden their fragrance with air , makes the air pure and magical. Which here in Delhi is a distance dream. I don't hv any pic otherwise I would hv linked-up ..
@Jim, thanks for the compliment. I didn't have any other pictures of flowers so posted these two. 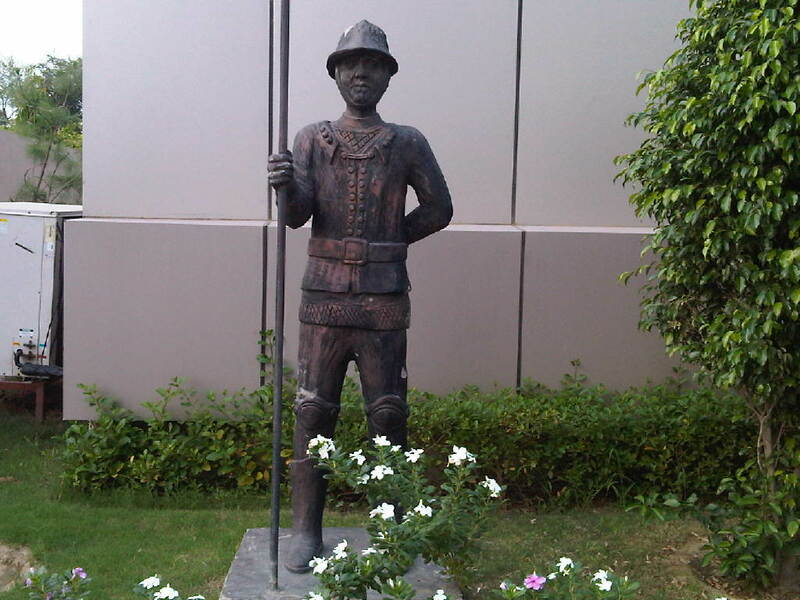 The statue is located within the housing complex, where Kriti Mukherjee stays. I love petunias, they are happy little waving hands from pots all over the world. Their fragrance is sweet to the nose, I have to big barrels full of Petunisa and pansies. Nice! I really like the soldier "standing guard" over those pretty flowers. Love the soldier standing guard over nature.. Thank you for showing us part of your country!! !